Located in a quiet nook of Parker, this well-maintained 4-bedroom, 5-bathroom home has an amazing floor plan that feels both spacious & cozy at the same time. 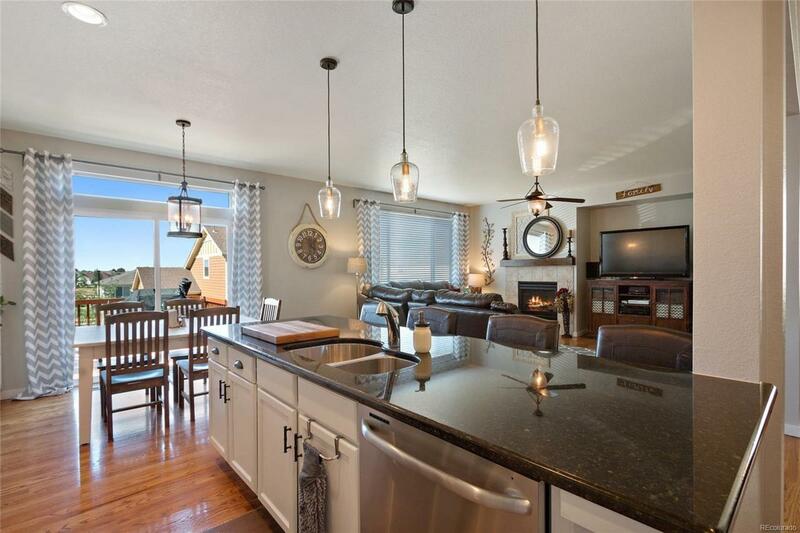 The large kitchen has an extra-large island with pull-up seating, slab granite counters, a crisp white tile backsplash, stainless steel appliances, and beautiful white cabinets. This space is perfect for the entertainers who enjoy cooking while spending time with loved ones who are relaxing next to the gas fireplace in the family room. The main-floor study is great for those who work from home, too. With a large walk-in closet and beautiful 5-piece master bathroom, the large master suite feels like the perfect quiet haven after a busy day at work. In the finished basement, there is space enough for everyone. Friends and family can watch the big game, play pool, and spend some time reading in the corner nook all at the same time. There is also a 3-car tandem garage. This home is close to 1 neighborhood park and Parker Rd.